SELLER IS OFFERING $10,000 CLOSING COSTS ASSISTANCE WITH PREFERRED LENDER THROUGH SEPTEMBER 30, 2018. Discover a luxurious coastal lifestyle with Emerald Homes at Grande Pointe. Grande Pointe offers numerous amenities for residents to enjoy such as a community pool and a private dock to Lake Powell. There is a lavishly designed pavilion offering a amenity center, an entertainment gathering room with a fully-equipped kitchen. The home has beautiful granite in the kitchen, with an oversized island great for entertainment or food prep. Gas cooktop with a beautiful hood is a chef's dream. This home has plenty of storage with a large closet under the stairs, a coat closet in the foyer, and a one car garage.Also, the Master bedroom features 2 closets, separate shower and soaking tub and two sinks at the master vanity with plenty of countertop spThe Monroe plan has nice front and back porches, and a balcoy off the master bedroom. Scenic Hwy. 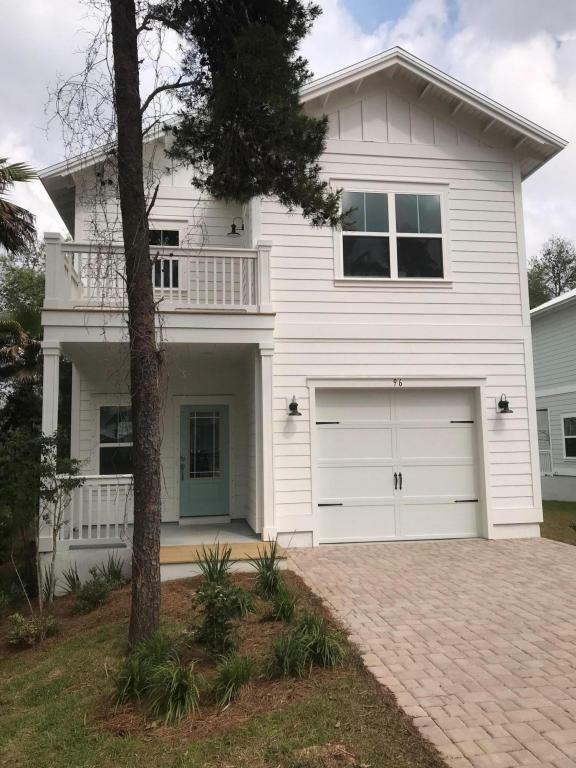 30A/Rosemary only minutes away and the largest public beach access is just across the highway. You can pull right up to the curb and unload your beach gear! The shops and restaurants are minutes away as well. Camp Helen State Park borders Grande Pointe. ATTENTION!! $8500 Closings Costs incentive if using the preferred builder lender. If you want new construction without having to take out a construction loan, then we are your builder. We carry the costs during construction and you close on your home once completed. It's that easy! And 10 year structural warranty for peace of mind! Pictures shown may be similar, but not necessarily subject home.